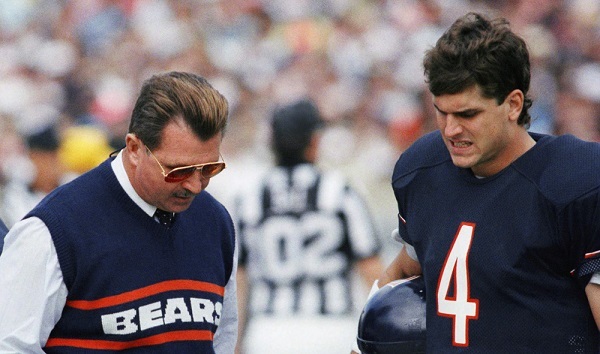 DBB Weekend Poll: Who Should Be Bears Head Coach Next Season? Here what’s I know about Jim Harbaugh’s coaching career. His first head coaching job was at San Diego and he led the Toreros to program bests in every conceivable way. His third head coaching job is at the San Francisco 49ers. He is 43-17-1 and has appeared in 3 NFC title games and a Super Bowl. In the 8 seasons prior to his arrival, the Niners did not record a single winning season. Jim Harbaugh isn’t a good head coach. Jim Harbaugh is one of the best coaches in the entire world of football and he is available. That does not happen often. It’s happening now. The Bears will regret it for many years if they don’t become serious players for his services. Studio 60 on the Sunset Strip never amounted to much of a show but this is one of my favorite five minutes in TV history. The Saints are horrible. The Bears are slightly more horrible. So why do I like the Chicago Bears this week? …if you are miserable in New Orleans, you must not like drinking or eating or music or joy. 40 carries, 271 yards, 6.8 yards a clip, 2 touchdowns. That is what the Panthers did to the Saints with a wasteland of an offensive line and a combination of Jonathan Stewart, Cam Newton, Mike Tolbert & Fozzy Whittaker. Cam Newton is the fifth most sacked quarterback in the NFL. The Saints didn’t get near him. The 2009 Chicago Bears were 3-1 heading into their early-season bye week. They came out of the bye and lost 8 of their next 10 games, including defensive embarrassments against Cincinnati, Arizona and Minnesota. The team was dead and buried.